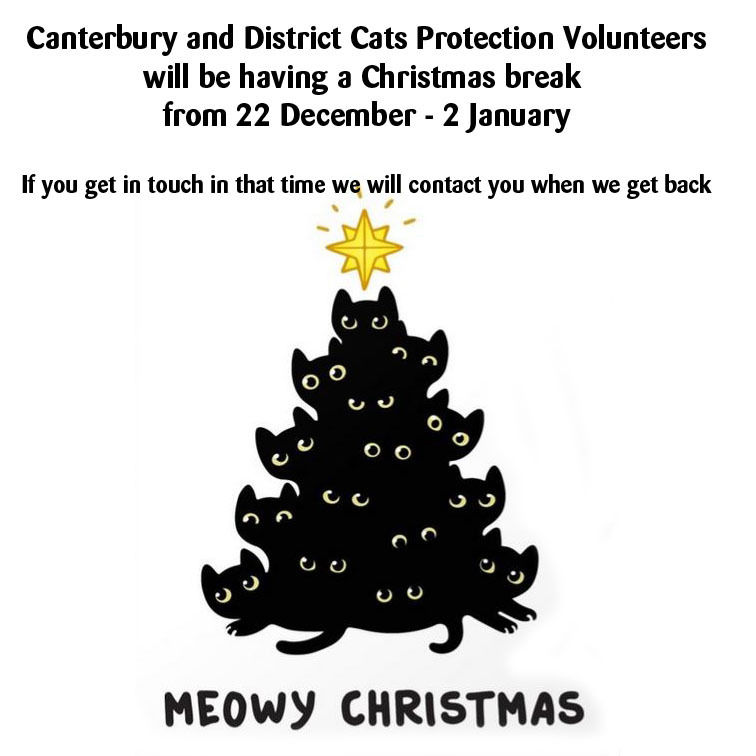 The volunteers at Cats Protection Canterbury and District will be taking a break over Christmas. We will be unavailable from the 22 December until the 2 January 2019. If you get in touch with us over that time we will get back to you in the new year, thank you for your patience. Have a great Christmas and we will be back with you in the new year.